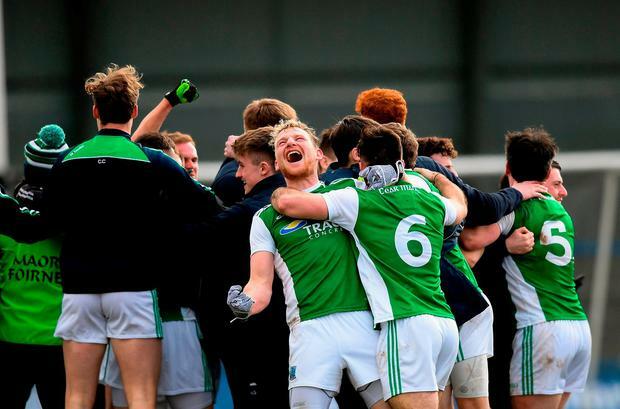 A disputed free from Seamus Quigley in the final minute of stoppage time saw Fermanagh dramatically claim the win they needed to gain promotion back to Division 2 at Glennon Brothers Pearse Park. Longford players and supporters vented their anger at Down official Paul Faloon after the free, which looked somewhat harsh, was converted and the fact that Quigley appeared to take the kick yards away from where it was awarded. Entering stoppage time Longford were ahead by two points and probably felt they should have had a free when first Connor Berry and then Rian Brady were fouled. Fermanagh went up the field and were awarded a free which saw Donie McElligott black carded. Quigley then duly fired the ball over the bar. 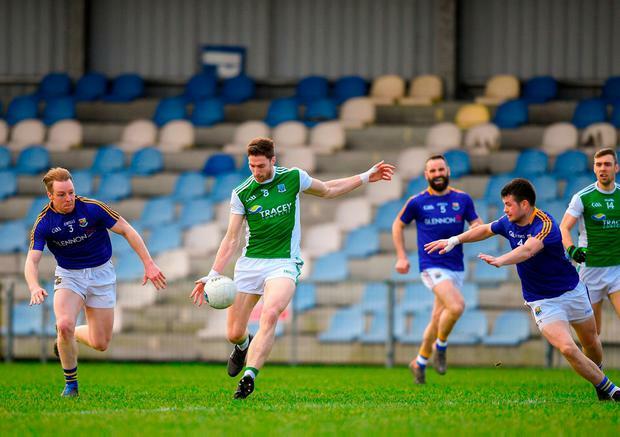 Roslea Shamrocks man Quigley was to be on target twice again from frees as the Ernesiders came from behind to claim the win. With so much at stake for both sides, the opening half was quite cagey. Fermanagh took an early two-point lead but Longford replied with a fantastic point from a sideline ball by Robbie Smyth, followed by a fine point from a tight angle by Darren Gallagher. 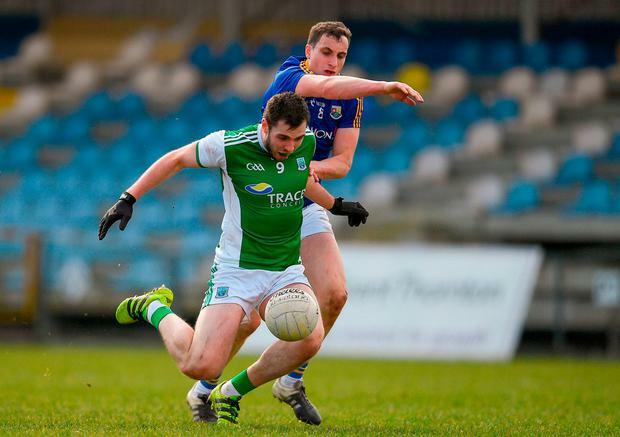 The Ernesiders went ahead by two on two different occasions before Longford began to get into their stride and drew level in the 29th minute. A pointed free from Smyth gave them the lead for the first time in the 30th minute and another put them ahead two minutes later. 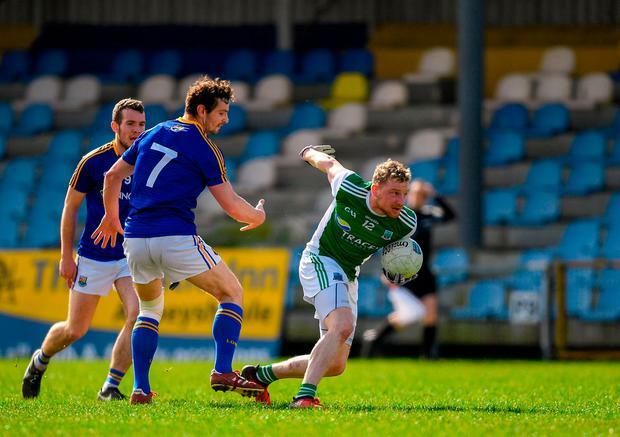 Just before the break Quigley pointed a free to leave Fermanagh trailing by one; 0-7 to 0-6. He then found the net just one minute into the second half when his side were awarded a penalty. Denis Connerton's side were back in front in the 43rd minute though, when a move involving Daniel Mimnagh and Brady saw Smyth palm the ball into the net. Another Quigley point drew the sides level again in the 49th minute. There was then a lull period as scores were hard to come by. 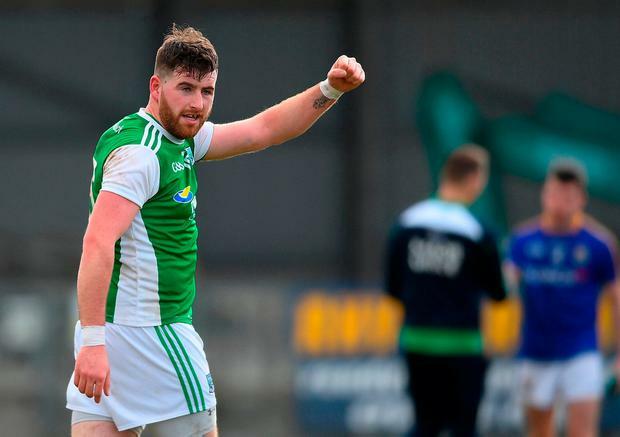 A Darren Gallagher point and a free from Smyth edged Longford ahead by two in the 65th minute but there was to be late drama when three frees from Quigley saw Fermanagh claim promotion. ScorerS - Fermanagh: Seamus Quigley 1-5 (1-0 pen, 3f); A Breen 0-2; R Jones, C Corrgian, Sean Quigley 0-1 each. Longford : R Smyth 1-5 (3f); D Gallagher 0-2; D Masterson, D Mimnagh 0-1 each. Ref - P Faloon (Down).